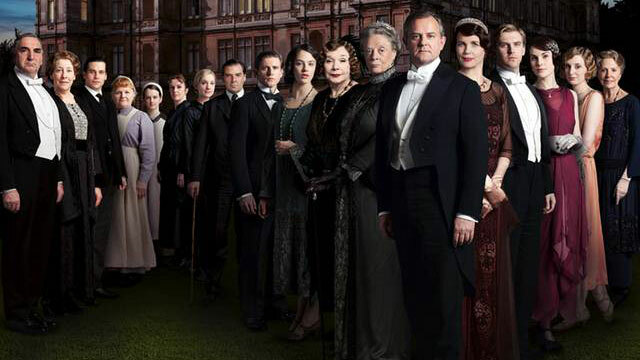 Stateside "Downton Abbey" fans knew what was coming in last night's season three finale, given the fact it aired in England months ago and the Internet exists. But that didn't stop us all from collectively shedding a tear when Matthew, feeling jubilation over the birth of his son, died in an episode-ending car accident. Turns out, had creator Julian Fellowes had his way, Matthew would have lived ... for one more episode. "I had hoped that we would have one episode of this fourth season that I'm writing now, so we could have ended the Christmas episode on a happy note, and then kill him in the first episode of the next series. But he didn't want to do that," Fellowes tells The New York Times of star Dan Stevens' desire to leave the show. "I didn't want his death to dominate the Christmas special, so that's why we killed him at the very, very end. In a way, I think it works quite well because we begin Series 4 six months later. We don't have to do funerals and all that stuff. That's all in the past by then." So it shouldn't come as much of a surprise that next season will be all about Lady Mary finding herself again. "Mary has to rebuild her life in a society which is changing," Fellowes says. "We would see women's roles in the '20s as being very much behind women today. But it was a big advance on what it had been 30 years before. And that's all explored in the show." As for season three's other big death, that of Lady Sybil, Fellowes says that it too was fueled by the actor's desire to leave the show and that unlike the actors who play servants, there's only one way to deal with a departing member of the Grantham family: death. "When an actor playing a servant wants to leave, there isn't really a problem -- [that character gets] another job," he says. "With members of the family, once they're not prepared to come back for any episodes at all, then it means death. Because how believable would it be that Matthew never wanted to see the baby, never wanted to see his wife? And was never seen again at the estate that he was the heir to? So we didn't have any option, really. I was as sorry as everyone else." Fellowes also might be apologizing to fans in the near future as he might have to hand showrunner duties off to someone else as NBC has tapped him to write a new series, which he'll begin once writing on season four is finished. "If I'm doing a series at NBC, I would not be able to write all of 'Downton' and all of that series at the same time," he says, adding, "I'd prefer to do everything on my terms [but] the business of life is learning that you can't lay down the terms. If 'Downton' goes on -- of course that's not my decision -- then it would be with other writers. And one of the tricks is to recognize when it's time to come to an end. Some things go on for 20 years ... but I just don't see 'Downton' being one of them."